Conference Hall facilities: an overhead projector, a computer, a screen, the Internet, loudspeakers, a microphone, a writing board, an air conditioner. 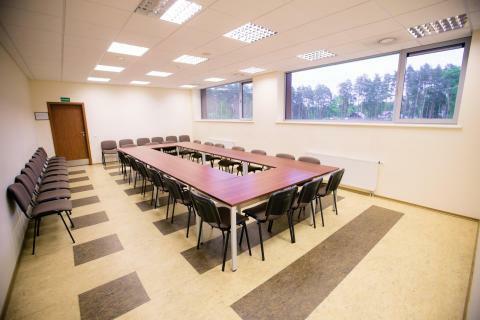 The interior style of the Conference Hall: First Hall – theatre, class, meeting, U shape. Second Hall – class. Disabled-friendly: car parking lot, slope/ramp, disabled-friendly door, disabled-friendly bathroom. The interior style of the Conference Hall: First Hall – class, a banquet, a cocktail party type. Second Hall – theatre, class. Third Hall – class, a banquet, a cocktail party type. Fourth Hall – class, U shape. Disabled-friendly: car parking lot, slope/ramp, elevator, disabled-friendly door, only partially disabled-friendly. Conference Hall facilities: an overhead projector, a computer, a screen, the Internet, loudspeakers, a microphone, a writing board. 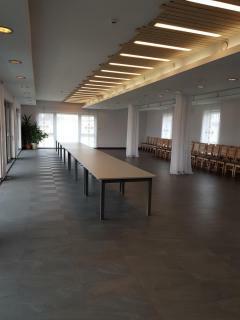 The interior style of the Conference Hall: class, meeting, U shape, a banquet, a cocktail party type. Disabled-friendly: car parking lot, slope/ramp, elevator, disabled-friendly door, disabled-friendly bathroom. Conference Hall facilities: an overhead projector, a computer, a screen, the Internet. The interior style of the Conference Hall: U shape. 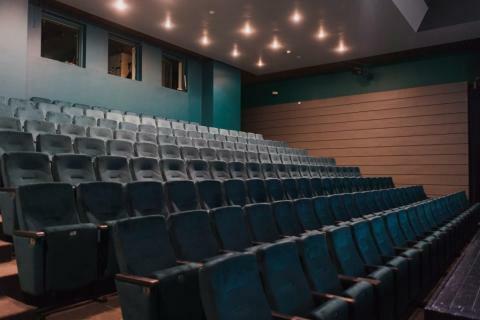 The interior style of the Conference Hall: theatre. Conference Hall facilities: a screen, the Internet. 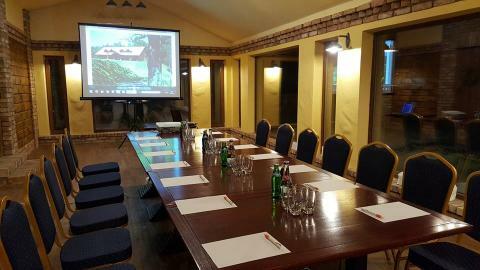 The interior style of the Conference Hall: meeting. Disabled-friendly: car parking lot, slope/ramp, disabled-friendly bathroom, only partially disabled-friendly. Conference Hall facilities: an overhead projector, a computer, a screen, the Internet, loudspeakers, a microphone. The interior style of the Conference Hall: First Hall – theatre. Second Hall – theatre. Third Hall – class. Disabled-friendly: disabled-friendly door, disabled-friendly bathroom, only partially disabled-friendly. 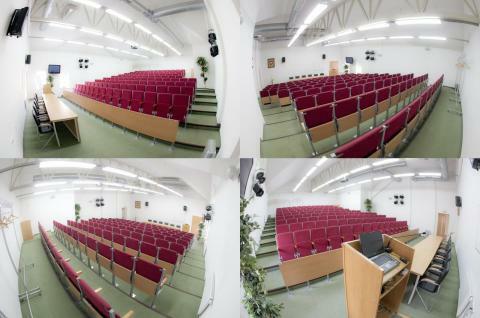 The interior style of the Conference Hall: theatre, class, meeting, U shape. 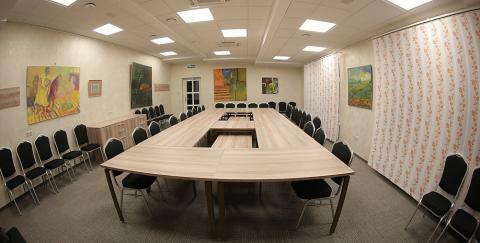 Conference Hall facilities: First Hall – an overhead projector, a computer, a screen, the Internet, loudspeakers, a microphone, a writing board, an air conditioner. Second Hall – an overhead projector, a computer, a screen, the Internet, loudspeakers, a microphone, a writing board, an air conditioner. Third Hall – an overhead projector, a computer, a screen, the Internet, a writing board, an air conditioner. The interior style of the Conference Hall: First Hall – theatre, class, meeting, U shape, a banquet, a cocktail party type. Second Hall – theatre, class, meeting, U shape, a banquet, a cocktail party type. 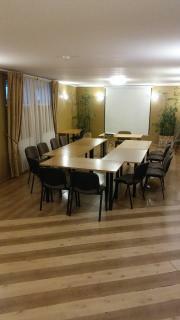 Third Hall – meeting. Disabled-friendly: car parking lot, slope/ramp, elevator, disabled-friendly bathroom, only partially disabled-friendly. 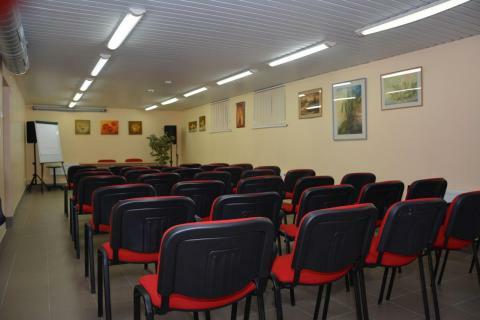 Conference Hall facilities: First Hall – an overhead projector, a computer, the Internet, loudspeakers, a microphone, an air conditioner. Second Hall – an overhead projector, a computer, the Internet, loudspeakers, a microphone, an air conditioner. Third Hall – an overhead projector, a computer, the Internet, loudspeakers, a microphone, an air conditioner. The interior style of the Conference Hall: First Hall – class, meeting, U shape, a banquet, a cocktail party type. Second Hall – class, meeting, U shape, a banquet, a cocktail party type. Third Hall – theatre, class, meeting, U shape, a banquet, a cocktail party type. Disabled-friendly: separate entrance, elevator, disabled-friendly door. Conference Hall facilities: First Hall – an overhead projector, a computer, a screen, the Internet, loudspeakers, a microphone, a writing board, an air conditioner. Second Hall – an overhead projector, a computer, a screen, the Internet, loudspeakers, a microphone, a writing board. Third Hall – an overhead projector, a computer, a screen, the Internet, loudspeakers, a microphone, a writing board, an air conditioner. The interior style of the Conference Hall: First Hall – class, meeting, U shape, a banquet, a cocktail party type. Second Hall – class, meeting, U shape, a banquet, a cocktail party type. 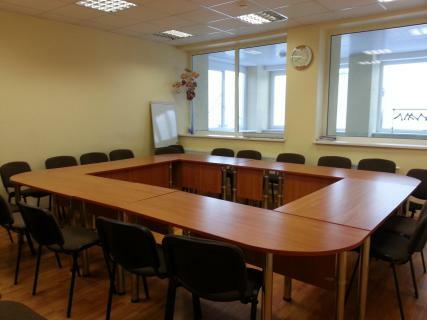 Third Hall – meeting. Disabled-friendly: car parking lot, slope/ramp. 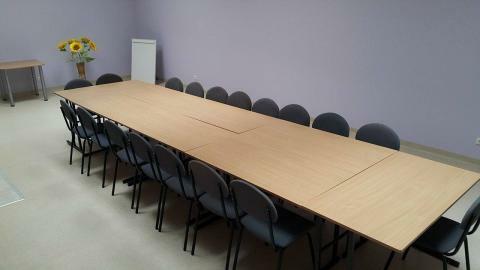 Conference Hall facilities: the Internet, a writing board. The interior style of the Conference Hall: theatre, class, meeting, U shape, a cocktail party type. 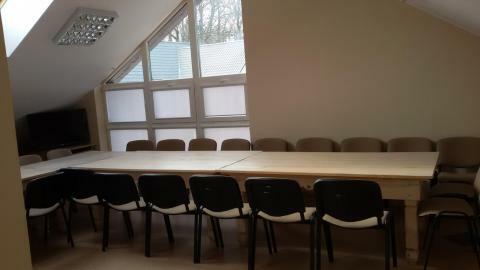 Conference Hall facilities: First Hall – an overhead projector, a computer, loudspeakers, a writing board. Second Hall – an overhead projector, a computer, a screen, the Internet, loudspeakers, a writing board. Third Hall – an overhead projector, a computer, loudspeakers, a writing board. Fourth Hall – an overhead projector, a computer, a screen, the Internet, loudspeakers, a writing board. The interior style of the Conference Hall: First Hall – a banquet, a cocktail party type. Second Hall – a banquet, a cocktail party type. 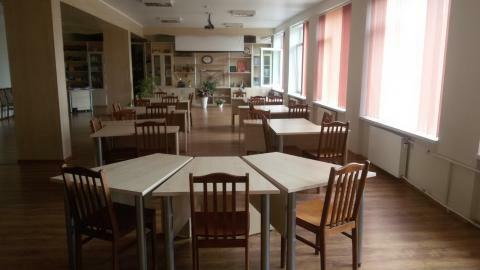 Third Hall – meeting. Fourth Hall – class. Conference Hall facilities: the Internet, an air conditioner. The interior style of the Conference Hall: theatre, class, meeting, U shape, a banquet, a cocktail party type. Disabled-friendly: car parking lot, separate entrance, slope/ramp, disabled-friendly door, disabled-friendly bathroom. Conference Hall facilities: a screen, the Internet, loudspeakers. The interior style of the Conference Hall: class, meeting, a cocktail party type. The interior style of the Conference Hall: theatre, class, meeting, a banquet. 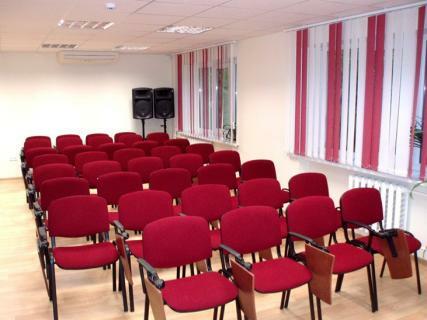 Conference Hall facilities: First Hall – a screen, loudspeakers, an air conditioner. Second Hall – a screen, loudspeakers, an air conditioner. The interior style of the Conference Hall: First Hall – theatre, class, meeting, U shape, a banquet, a cocktail party type. Second Hall – theatre, class, meeting, U shape, a banquet, a cocktail party type. 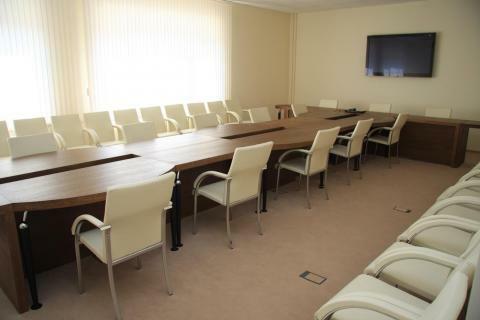 Conference Hall facilities: First Hall – an overhead projector, a computer, a screen, the Internet, loudspeakers, a microphone, a writing board, an air conditioner. Second Hall – an overhead projector, a computer, a screen, the Internet, loudspeakers, a microphone, a writing board. 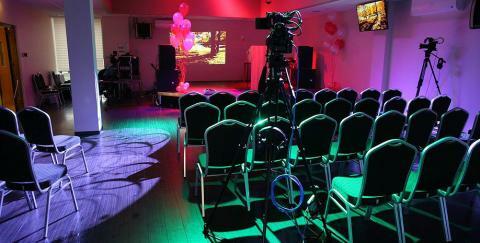 The interior style of the Conference Hall: First Hall – theatre, class, meeting, U shape. Second Hall – theatre, class, meeting, U shape. Disabled-friendly: car parking lot, separate entrance, slope/ramp, disabled-friendly door, disabled-friendly bathroom, only partially disabled-friendly. 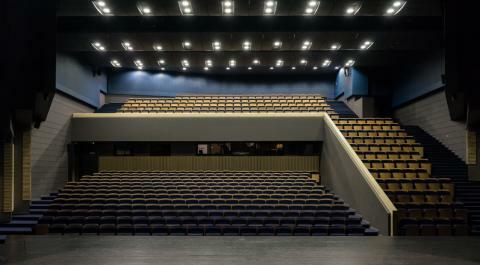 The interior style of the Conference Hall: theatre, meeting.